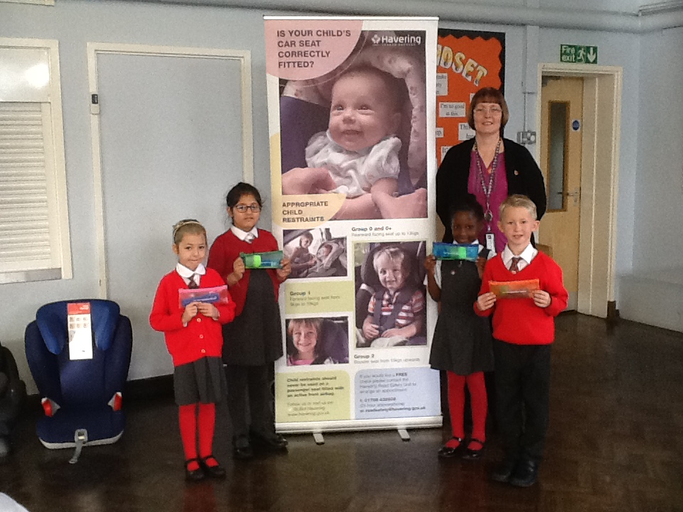 Elaine Keeler, Havering Road Safety Office, was invited into school on Friday 4th November, to give an early morning talk to our parent's about the importance of car seats and how to keep their children safe whilst travelling in a car. She had car seats which complied with all the new safety directives and was very knowledgeable and informative. She explained about the new safety laws and answered questions from our many parent's. She was amazed and delighted at the huge turnout of parent's and commented how she had not spoken to this many parent's in any of her other schools. She has been invited back to spend an afternoon checking and fitting car seats for our parent's. Date to be confirmed. This talk was followed by our usual celebration of Achievement Assembly where Elaine gave out badges to our four nominated JRSO's for this academic year. 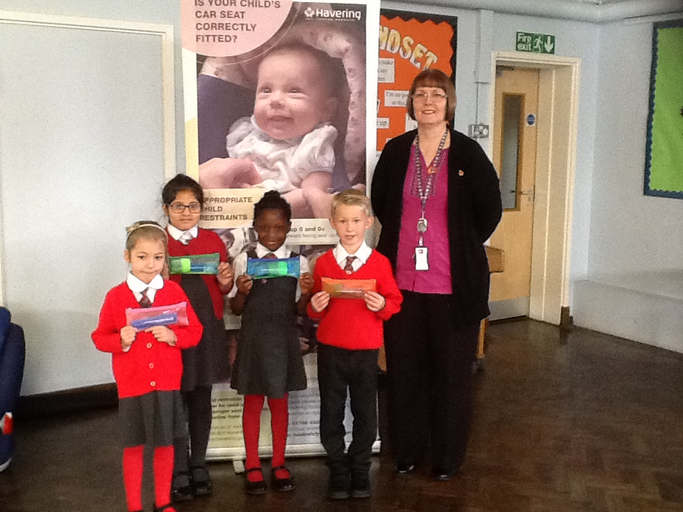 Well done and congratulations to these children.